Microcom standard products include satellite transmitters, antennas, desktop and rack mount satellite receivers, test sets and software tracking and database tools. 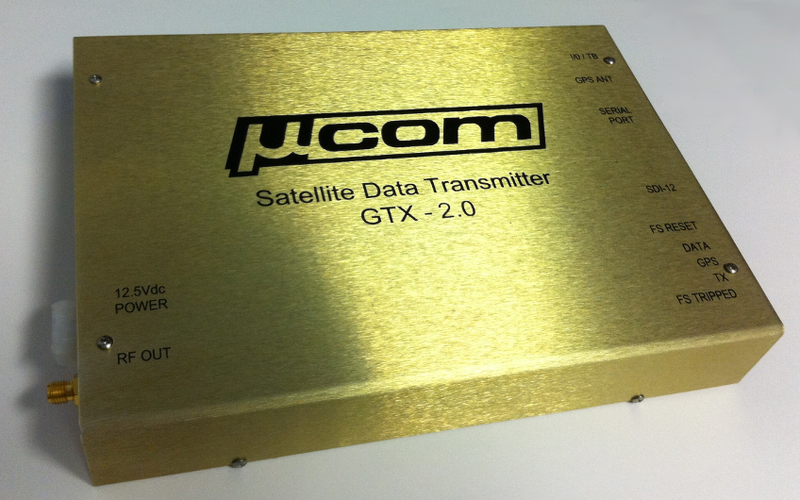 The Microcom GTX is a complete integrated data collection and satellite transmission system. It is low power by design. Its critical parameters for time and frequency are derived from high quality oscillators and GPS. GOES DCS LRIT Direct Satellite Reception. Rack mount modular Satellite DCS receiver system using networked architecture. The Dual PCM adds the feature of monitoring the prime and back up pilot signals. Both pilot signals are used in an auto fail over mode for high reliability operation. Provides 4 channels per module or small DRGS station. Provides 4 channels per module or small DRGS stations. Permits field and laboratory reception of Satellite transmissions direct from the antenna or RF port. Receives data and measures signal quality. UHF satellite antenna with 11 dB of gain. UHF satellite antenna with 8.5 dB of gain, random covered. Small UHF satellite antenna with 6.5 dB of gain, random cover. UHF satellite omnidirectional antenna with 3 dB gain.